It’s almost the end of October, and you can see celebration and sweet everywhere you look. Every year we celebrate Halloween with Magento & Prestashop lovers. But these Festival seasons we decided to offer you a great deal by treating you to great savings! 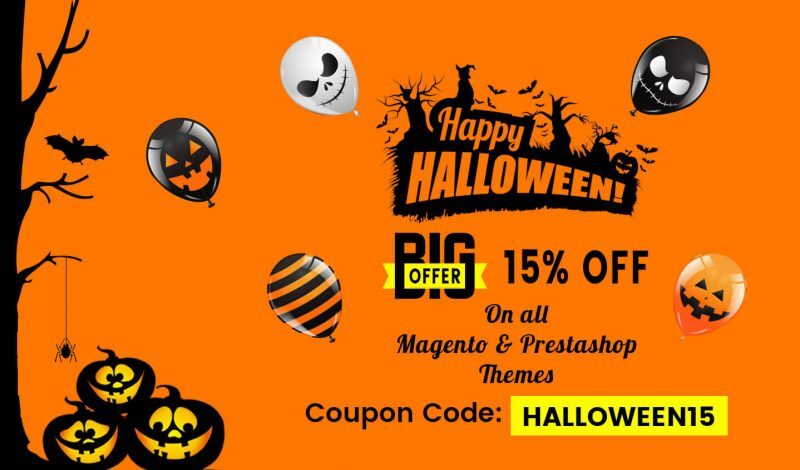 Grab 15% off on all Magento & Prestashop themes and modules with our Halloween Sale 2018! Let those shopping carts overflow! Hurry Up! offer is only valid till 1st November 2018. We invite you to grab the never-before sale offer, before it’s too late. This Halloween, get FLAT 15% off on our Premium Products. How to redeem your 15% off discount? Follow the simple step to get your Massive discount. 3. Get your 15% OFF & enjoy great benefits! In the product line, you may also find bestselling Magento 2 themes, Magento 2 extensions, Premium modules for the Prestashop, popular and creative Prestashop themes for any purpose. Lets list down some of our best selling products in each category. This extension allows you to show Google Customer Reviews Badge on your Magento 2 store as well as display survey opt-in to collect customer review on order success page. 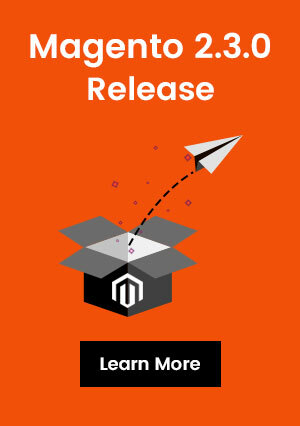 This extension helps to add countdown timer your Magento 2 Store & generate Urgency. More Sales!. It comes with some great features like sticky countdown timer with gradient effect, display discount percentage, set up timer format, etc. This extension will help you to increase conversion as it shows a remaining stock of product using attractive bar and encourage customers to hurry and buy before stock runs out. This Sticky Add to Cart bar gives the customer easy access to add the product to their shopping cart at any time. Coming Soon & Store Maintenance is a responsive minimal, business under construction / landing page / coming soon page extension for Magento 2. This module allows your customers to start a WhatsApp chat directly from your website. Add a promotion bar to your online store in seconds, and engage with your customers easily. This module lets Prestashop store owners to dynamically display product sold count for each product in their store. Grab the great bargain while it lasts and get your store updated in no time! Use the code above to get the discount and enjoy the festive offer with HiddenTechies! If you have any query feel free to Contact us! Happy Halloween to you all!